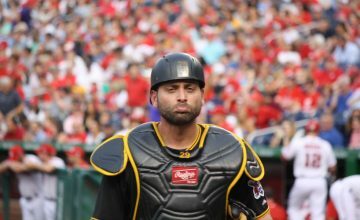 2018 Fantasy Baseball Week 9 Drop List: Time To Go! Hello, Fantasy Friends and Foes! 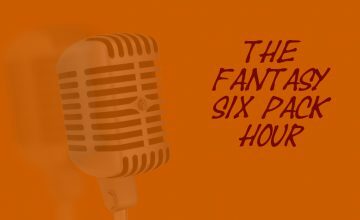 Welcome Back to the Fantasy Six Pack Weekly Drop List. We are now roughly two months into the season. Do you still like your team? Who is the pick that you are most proud of? Who is the player that you picked to breakout that has disappointed you the most? My most disappointing player is Twins outfielder Byron Buxton. Please read below to find out why I am so disappointed with Buxton and view four other players that you should drop in the 2018 Fantasy Baseball Week 9 Drop List. 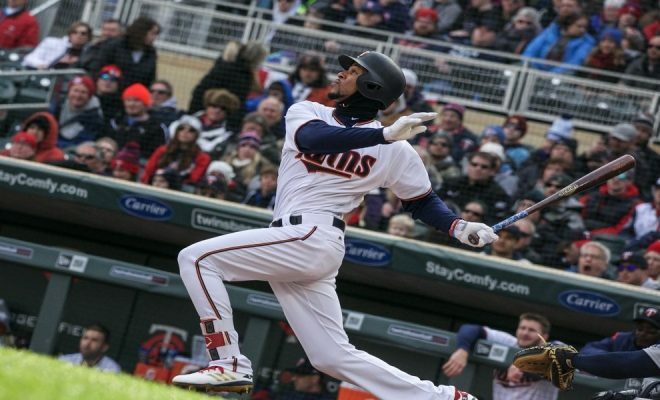 Byron Buxton was a fantasy sleeper going into drafts for the 2018 season based on his second-half breakout numbers. Starting on July 4th, Buxton hit .314 with 12 homers and 37 RBI. There was a ton of buzz around Buxton that he has finally figured things out and that the young outfielder will be a productive fantasy hitter. Those owners hoping for a full season of his 2018 second-half performance have been gravely disappointed. Buxton missed nearly a month due to migraines and a fractured left toe. In his last 30 games, Buxton his hitting .125/.143/.167 along with a .310 OPS and a whopping 16 strikeouts in 48 at-bats. Buxton has not even come close to performing at the level that we saw last season. His defense and speed are the only factors keeping him in the Twins’ lineup. He is a Gold Glove outfielder and his speed is useless because you can’t steal first. Buxton cannot hit, leaving him hopeless for fantasy purposes. Well, this might be an obvious choice, but his inclusion is necessary. Major League Baseball suspended Welington Castillo 80 games for testing positive for Erythropoietin (EPO), a performance-enhancing substance. Castillo is the first White Sox player to be suspended for a PED violation since drug testing was implemented in 2004. Castillo has been one of the few bright spots for a dismal Chicago White Sox club this season. He has six home runs while batting .267 with a .774 OPS before the suspension. He signed a two-year contract with the White Sox after hitting .282 with a .813 OPS and a career-high 20 home runs last season for the Baltimore Orioles. Castillo would be eligible to return tentatively August 24. Unless you have deep, deep rosters, there is no way you can stash him until he comes back from suspension. The Phillies made big news a week before the season when they signed prized phenom Scott Kingery to a six-year, $24 million contract based on his potential. Along with the contract signing, Kingery created a lot of fantasy noise with a big spring. He ended up breaking camp with the Phillies. Kingery started off hot in the first few weeks of his MLB career but has definitely looked overwhelmed at times lately. He is currently hitting .222/.273/.440 with two homers, 14 RBI, four stolen bases along with 42 strikeouts in 153 at-bats. Both of his home runs were hit by April 9, and 12 of his RBI came by April 15. He has struggled immensely in May with a .192/.236/.250 slash line in 52 at-bats. The Phillies have allowed Kingery to play through his slump at the Major League level, but for how much longer? The Phillies have been forced to use Kingery at shortstop while J.P. Crawford (strained forearm) is recovering on the disabled list. While Kingery is a second baseman by trade, he has showcased his versatility by playing second base, shortstop, third base, and even some outfield to get this prospect at-bats in the bigs. The Phillies have stockpiled some young talent and have the payroll to spend money to acquire big-time talent. I wouldn’t be surprised if the Phillies were not buyers as long as they are still in the hunt for an NL playoff spot. While Kingery has exhibited flashes of his hit tool, he might have been brought along too soon, and the Phillies might have thought they needed to justify his signing. 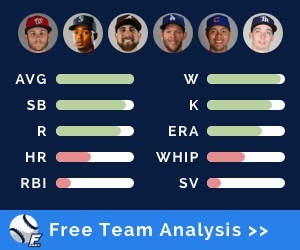 Kingery might be what the Phillies need now in terms of a utility player but he is not someone fantasy owners need to hold on to in season-long formats. The Mariners are off to a nice start (33-20), one game behind the defending champion Houston Astros in the AL West. They are showing that they are in the “win now” mode by acquiring former All-Star closer Alex Colome and outfielder Denard Span from the Rays last week. Alex Colome has been the Rays closer for the last three years. 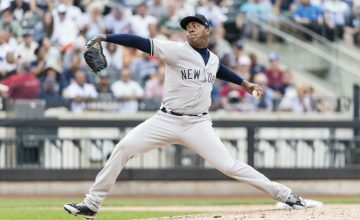 No pitcher in the American League has saved more games than Colome since 2016. His 95 saves in that span trails only the Los Angeles Dodgers’ Kenley Jansen (98). Colome saved an AL-best 47 games for the Rays last season and was an all-star the season before that with 37 saves, compiling a 2.63 ERA in that span. So far this season, he has 11 saves in 13 opportunities to go with a 4.15 ERA. The arrival of Colome does not mean that the Mariners are changing the role of Edwin Diaz, who entered Friday tied with the Rockies’ Wade Davis for most saves in the major leagues (17). Alex Colome will slide into a set-up role ahead of Diaz. Obviously, his new role will negate any fantasy value for Alex Colome. He can and should be dropped in all fantasy formats. A middle-of-the-road pitcher for most of his 13-year career, Jason Vargas was coming off an 18-11 season with a 4.16 ERA for the Royals. In his first season back from 2015 Tommy John surgery, he went 12-3 with a 2.62 ERA in the first half of 2017. However, in the second half, he went 6-8 with a 6.38 ERA. It certainly looks like the second half version of Vargas is too real for the Mets. In five starts, Vargas has allowed 24 earned runs over 20.1 innings pitched for a 10.62 ERA. He has only one quality start and has taxed the Mets’ bullpen. He is also recovering from a season-opening DL stint recovering from a late-spring injury to his non-pitching hand. The Mets continue to suffer injuries to their pitching rotation. Noah Syndergaard (finger) was just placed on the disabled list due and Vargas is scheduled to take his spot in the rotation. The Mets do not seem to have an even remotely adequate replacement to take a turn(s) in the rotation. I am hoping at least your fantasy team can withstand removing Jason Vargas from your rotation. His production from last season was a fluke, and hopefully, you didn’t buy into it.